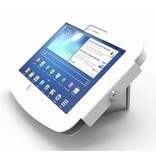 The tastefully designed Space Flip is the optimal Galaxy Tab Kiosk for both professional and personal use. 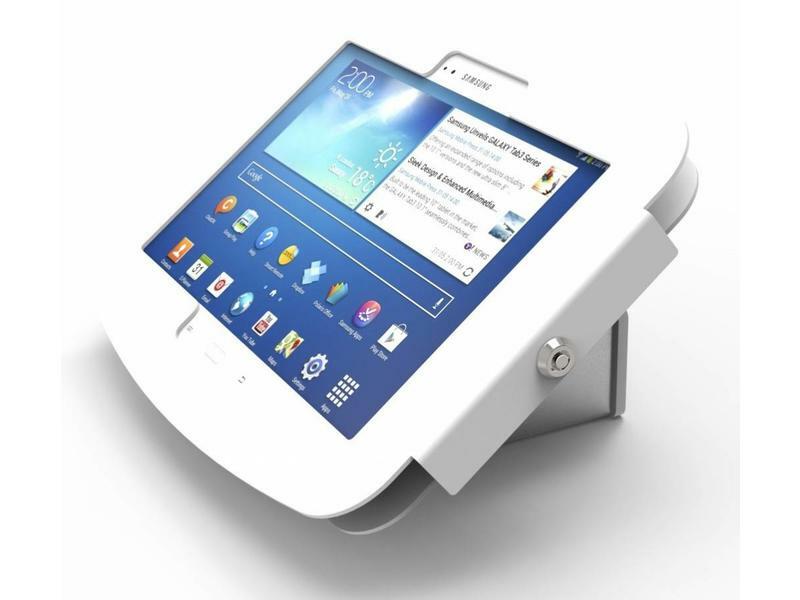 The flipping movement of this Galaxy Tab stand conveniently allows the Galaxy screen to be easily shared by opposing sides of a table. 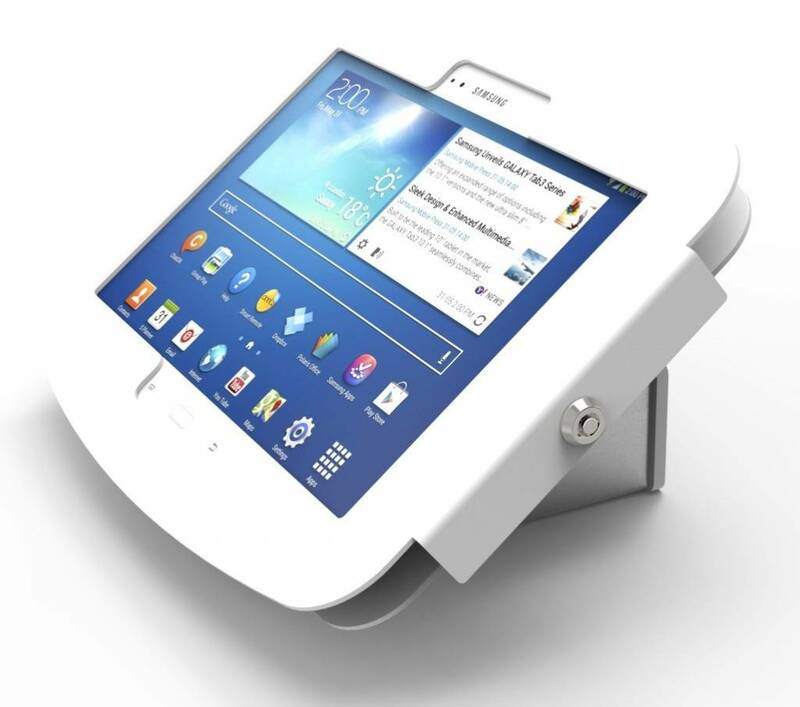 It gently rotates between portrait or landscape orientation modes for a fully functional iPad display unit.